What initially started as a genuine body styling for Mercedes-Benz models, the shooting brake design has now become a real inspiration for other hot models as well, be it in reality or just in some artists` sheer imagination. 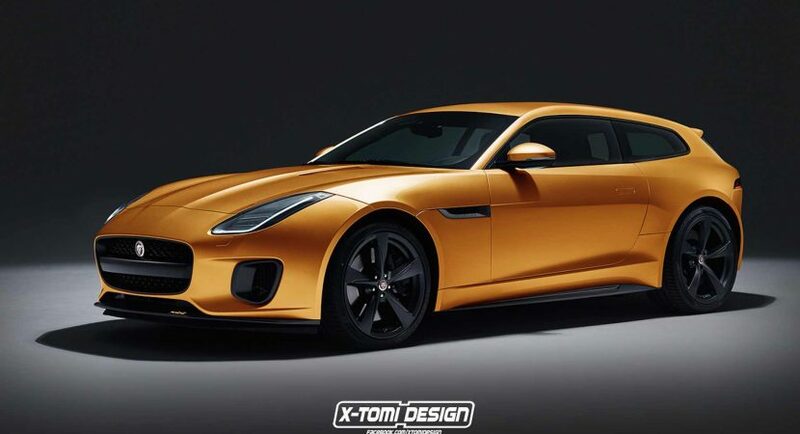 It is also the case of the gorgeous Jaguar F-Type 400 which was recently previewed wearing a shooting brake design, an effort put together by no other than rendering artist X-Tomi Design. The Jaguar F-Type in its latest generation is an exceptionally well-built car, coming with sheer performance and an evolutionary design. Even so, that didn’t stop the artist envision the model with a shooting brake styling, and even if this won`t become a reality, at least not today, it is worth admiring it. As we can depict from the rendering below, the 2018 Jaguar F-Type 400 Shooting Brake comes with rather the same design lines at the front, just like the factory model, meaning the same front fascia and vents, as well as black wheels. At the rear however, the model comes with a wagon styling, yet still remains extremely appealing and aggressive at the same time. It features however a different type of trunk, which is similar in design as the ones seen on Mercedes-Benz Shooting Brake models. As for the real F-Type 400, the model is ready to hit dealerships in a couple of months, the model coming with a new Jaguar colour, making it a real standout. Under the hood, the Jaguar F-Type 400 will be using an entry-level 3.6-liter supercharged V6 engine with 400 horsepower, followed by a much larger 5.0-liter V8. According to new reports, the model would cost at least £51,450, while the top of the line SVR would set you back at £110,000.